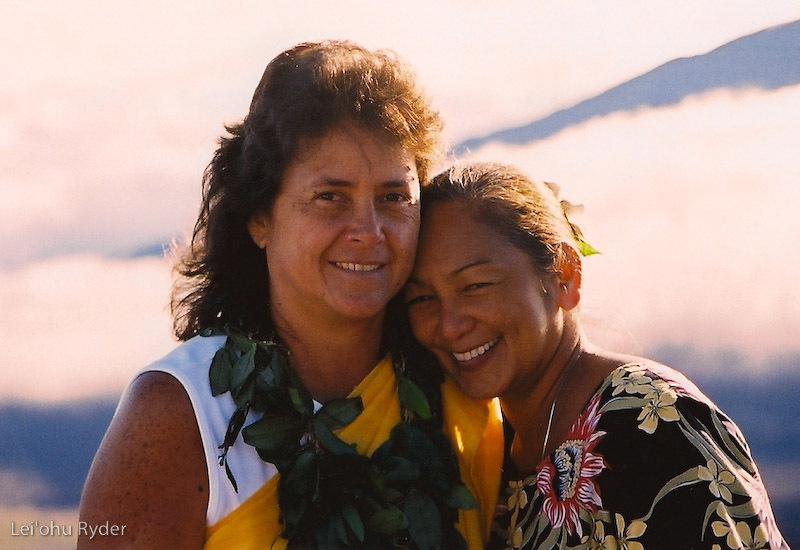 Wanna meet Lei’ohu Ryder and Maydeen Maydeen Kuuipo Iao, these beautiful healers from Maui? They are visiting Malamalomi in Amsterdam from May 30th-june 3rd. In this period they are giving workshops, concerts, healing sessions and ceremonies in our center Hale Ola Pono. Lei’ohu Ryder is a well-known and highly appreciated Hawaiian singer/songwriter, spiritual teacher and healer of the island of Maui. Along with her partner Maydeen ‘Iao, they are Kumu Aloha (emissaries of aloha) and advocates for the indigenous soul in all people. As an advocate of the Aloha Spirit of the Hawaiian Islands they share with us their MUSIC and the MAGICAL TEACHINGS of their ancestors. Goddess Pele brings hope as she feeds us clarity of purpose in alignment with our most authentic expression of spirit. We are our own ancestors! We embrace our aloha that is present in this moment, gifting us truth. The clarity that cleanses our moments of self doubt and judgement burn away as we acknowledge the illusion that creates fear, separation, struggle and hurt. Learn how the healing power of ho’oponopono chants can enhance your life and your ho’oponopono practice. In this exceptional workshop Hawaiian Healer and spiritual Teacher Lei’ohu Ryder is teaching use powerful ho’oponopono chants: their content, their beauty, as well as their use in your daily life. Experience the JOY of playing Ukulele with Lei’ohu and Maydeen, and learn how to play Lei’ohu Ryders songs rght from the source!